The beauty of Italian cooking is its simplicity. When I lived in Genoa, Italy for a few months as a student I realised that Italian cooking was all about using the best ingredients available and making them absolutely shine. I still remember the first time I tasted the famous Roman pasta dish “Cacio e Pepe” and feeling that I had died and gone to heaven. Then when I had heard that it only had four ingredients: pasta, olive oil, cheese and black pepper I couldn’t believe it. I really didn’t believe you could get so much flavour from such humble ingredients. This dish was inspired by my travels and is quite delicious if I may say so. 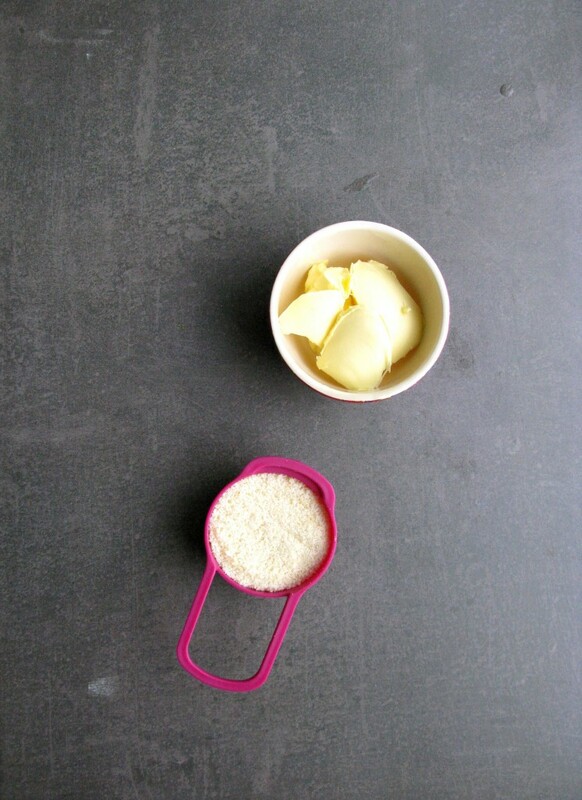 What’s great is more than likely you’ll already have all the ingredients at home too! 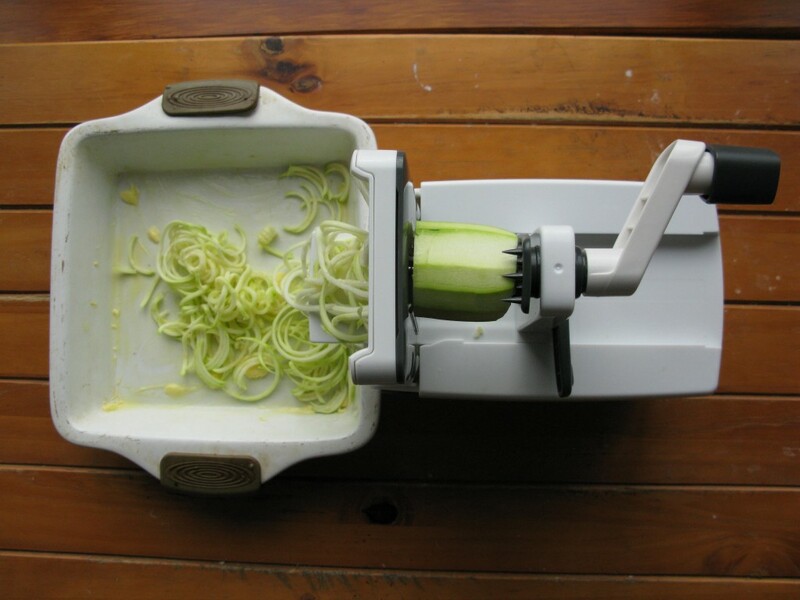 If you don’t have a spiralizer you can still make this recipe by making ribbons out of the courgette/zucchini using a vegetable peeler. 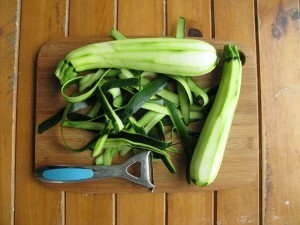 If using this method then stop when you reach the seeds of the courgette/zucchini. 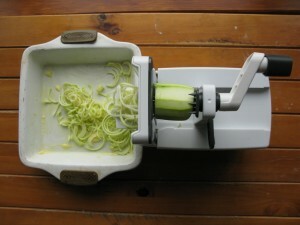 For both this method and using the spiralizer keep the left over peelings for adding to a stock. Preheat the oven to 180° C fan/200° C electric/gas mark 6/ 392°F. 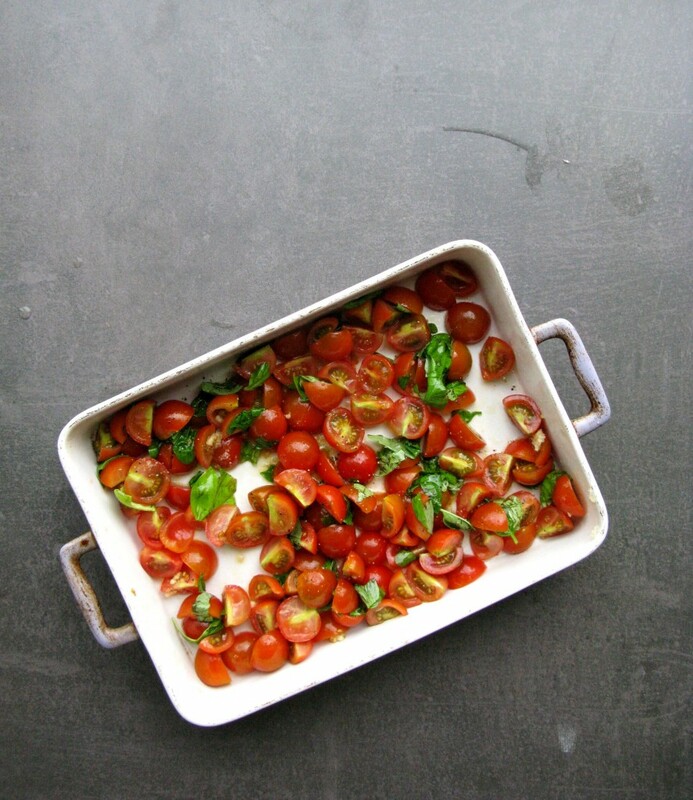 Chop the cherry tomatoes in half and place in an ovenproof dish with the torn basil leaves. Toss with olive oil and a sprinkle of sea salt and black pepper. Bake for 15 mins. 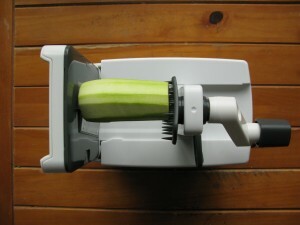 Meanwhile prepare the courette/zucchini either by spiralizing or by using the vegetable peeler method. Reduce the oven heat to 120°C fan/ 140°C electric/ gas mark 1/ 275°F. You can leave the tomatoes in the oven provided they are not burning. Keep an eye on them! They should be starting to release their juices which is exactly what you want! Place the courgette in another ovenproof dish greased with butter and bake for 25 mins. 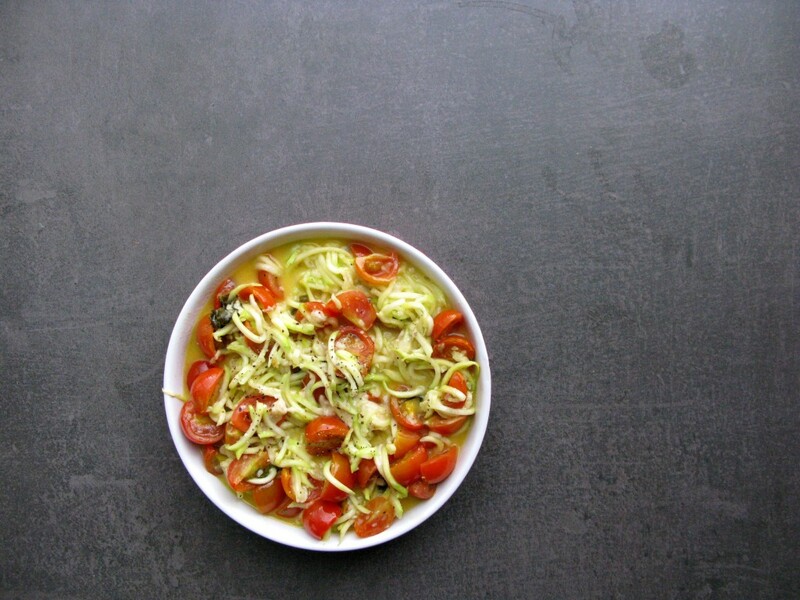 Remove both courgette and tomatoes. Melt 4 tbsp butter and cheddar cheese on top of courgette and mix. The cheese and butter should form a delicious sauce. 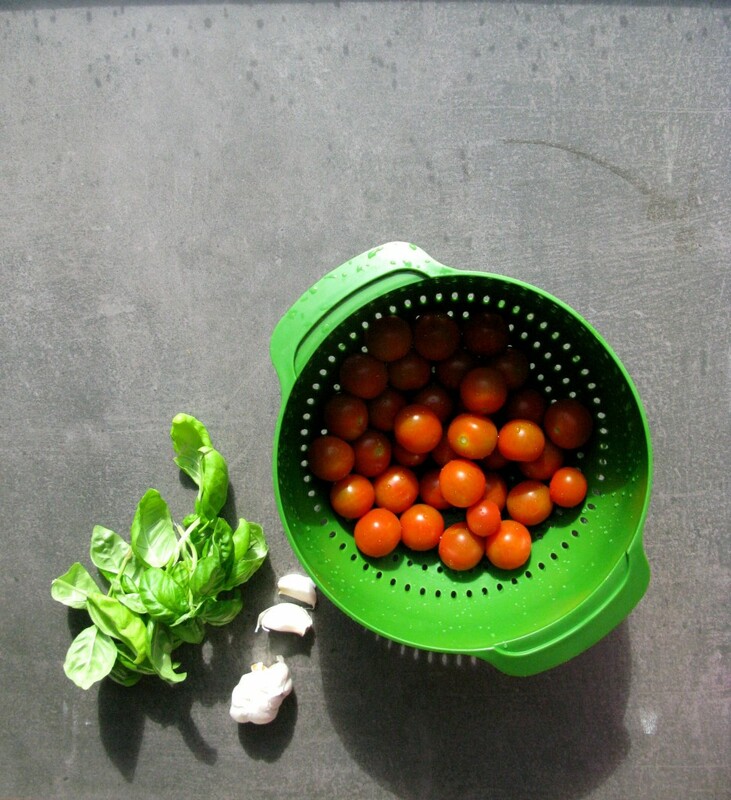 Add in tomatoes and basil tossing to combine.